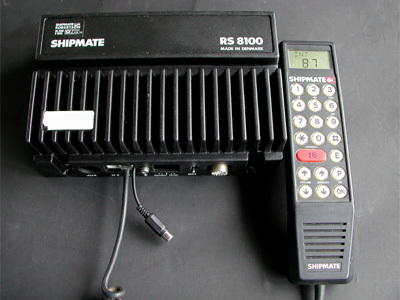 It's not too difficult to make the marine VHF Shipmate RS 8100 suited for the recepton of AIS by adding a discriminator output. 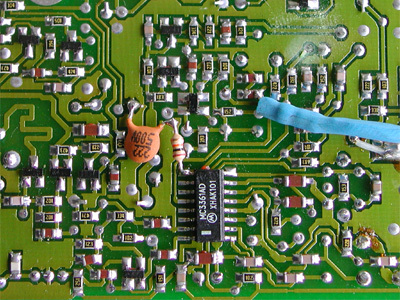 The receiver IC is located at the bottom of the circuit board. To reach the bottom, 9 metal screws and one plastic screw need to be removed. 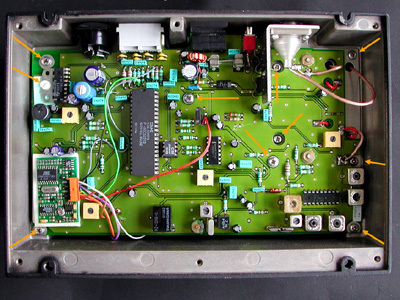 After that, the board can be carefully lifted from the enclosure. 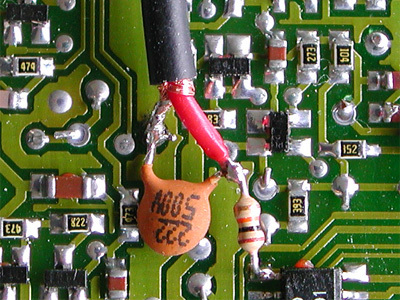 Connect a 2.2 nF capacitor from the resistor's other lead to ground, e.g. 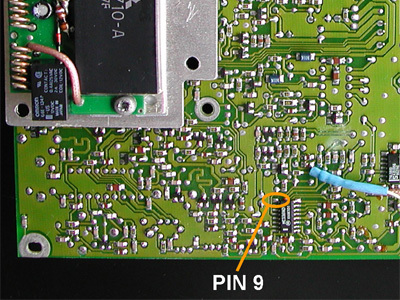 to the solder pad shown on the photo below. Because the enclosure is rather robust, which makes drilling difficult, you can choose not to put a chassis socket in the enclosure, but to put a female (cinch) connector to the shielded wire outside the RS8100 ('pigtail', see top photo).